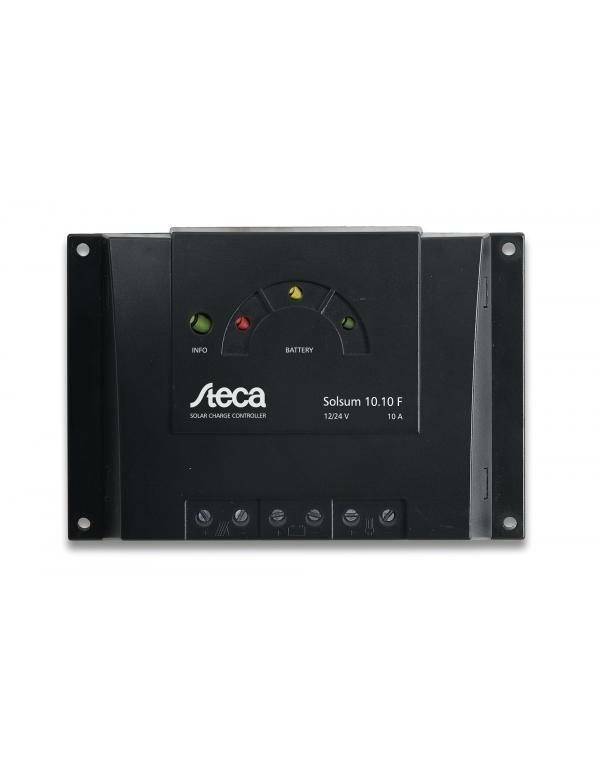 Steca regulator of Solsum line F of 6A, self-adjusting to 12V or 24V systems. 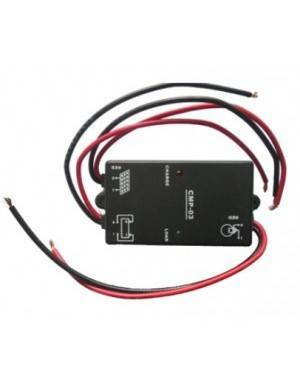 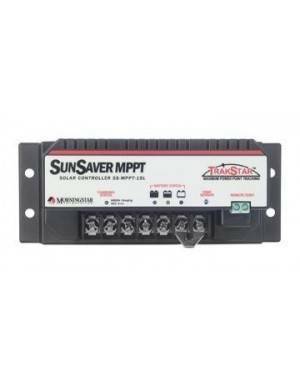 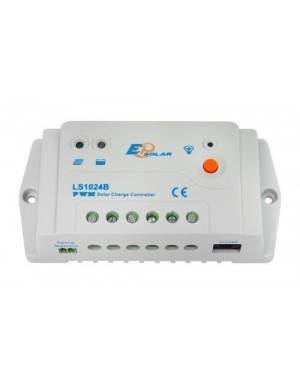 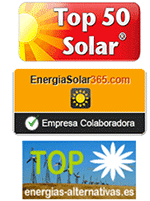 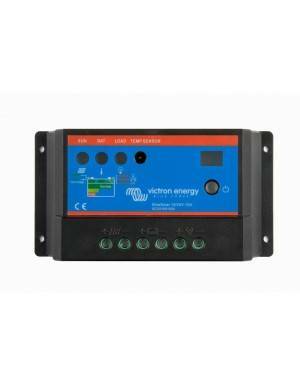 It is robust, simple and reliable for charging 12V or 24V from a solar photovoltaic panel controller. 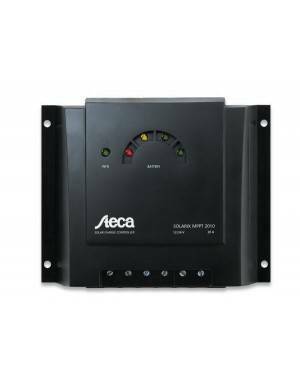 Steca Solsum in their models F continues the success of one of the most used solar controller manufacturers in the world for off-grid systems. 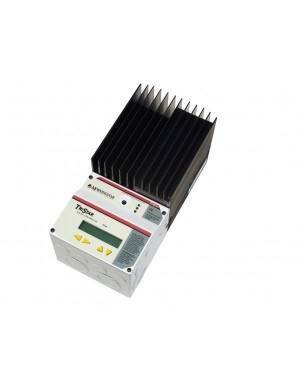 The Solsum line is particularly suitable for applications with system power up to 240 W and load current range up to 10A, with automatic switching between 12 V and 24 V.
Remarkable is the complete electronic protection of the circuit board. 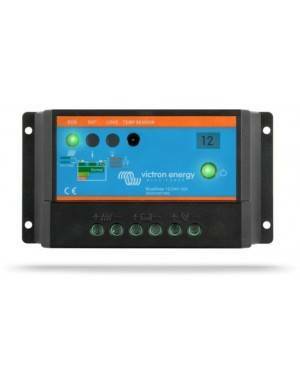 With its user interface via LED, you can easily know at all times the status of storage (battery). 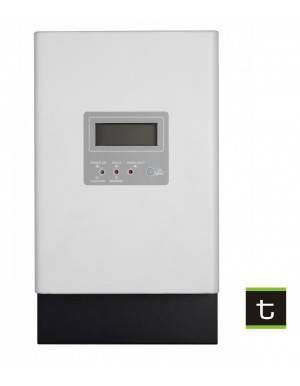 His baggy terminals allow easy connection between the photovoltaic modules, battery and consumption. 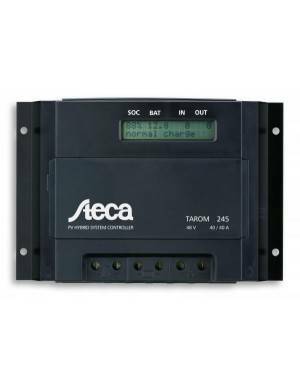 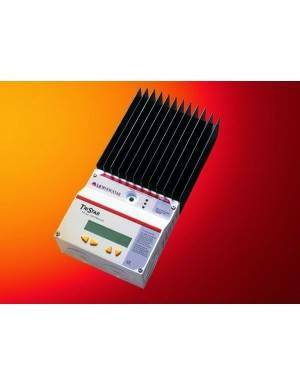 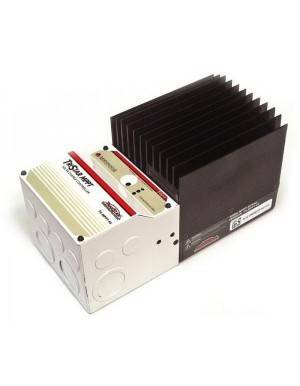 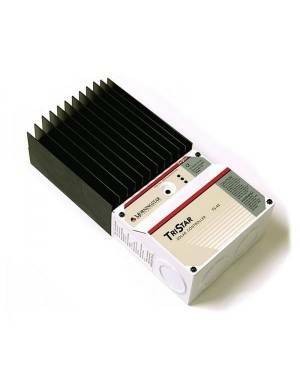 The Steca Solsum F series controller works as pulse width modulation energy efficient (PWM).